Fred. Olsen is dramatically changing the appearance of its four ships by giving them charcoal grey hulls topped with a bold red stripe. Boudicca is first to receive the treatment. The work should have been done during the ship’s recent dry-dock in Germany – when 28 balcony cabins were added – but time ran short and it was completed later. 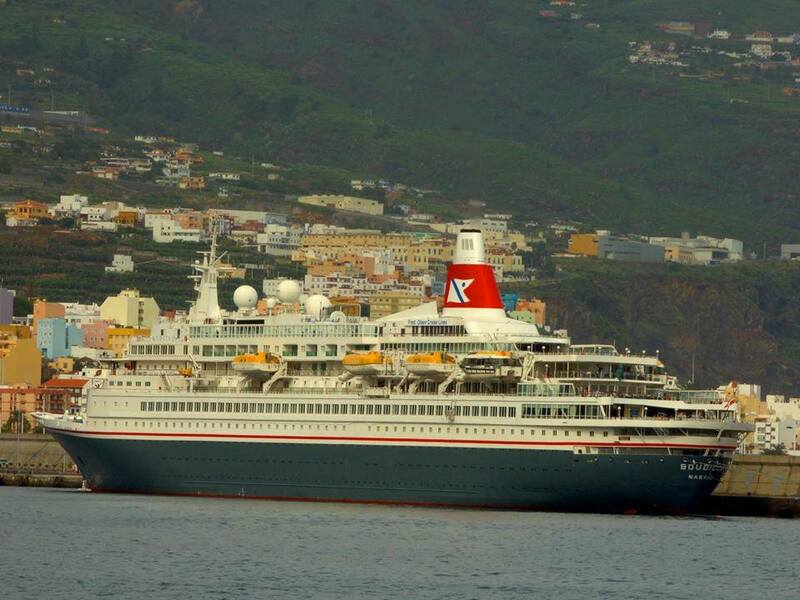 Balmoral is currently being re-painted, and Braemar and Black Watch will follow soon. He claimed the new colour “harks back to Fred. Olsen’s heritage, to when the first Black Watch and Black Prince were launched in the 1930s” – although if he checks the archives, he will discover they used a much lighter shade of grey in those days.